Montepulciano. An absolutely gorgeous Tuscan hill town and a charming wine. Seemingly always playing second fiddle to its more prestigious neighbor Brunello, there are quite a few examples from this DOCG that should not be ignored. I’ve loved Poliziano for a long time. Their 2009 Vino Nobile that was awarded Tre Bicchieri from Gambero Rosso was indeed superlative. Their most recent release doesn’t quite reach the same heights. 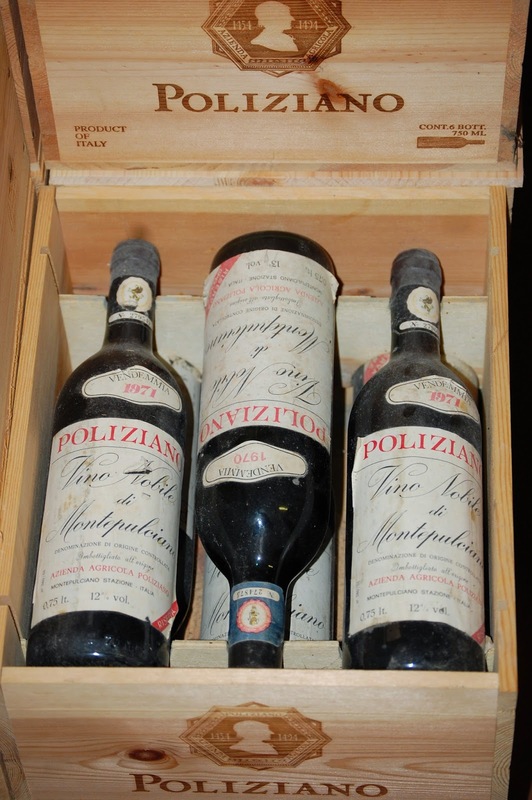 Owned by Dottore Federico Carletti, the Poliziano estate was founded in 1961 by Federico’s father from an original parcel that included 22 hectares. 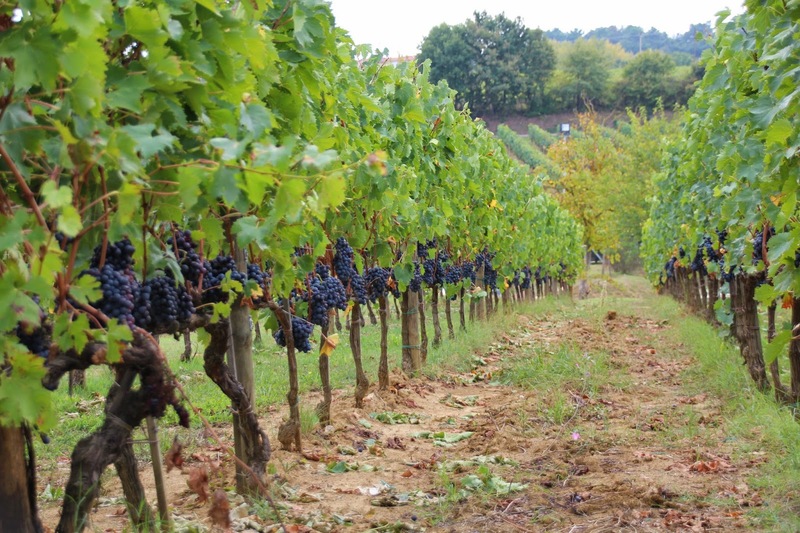 Today the estate is 200 hectares, of which 120 are planted to vines. Since 1980, Federico has been in charge of the estate. An agronomist by degree, Federico professes to be a mere farmer. Convinced that great wines originate in the vineyard, Federico starts his work among the rows, eliminating the less favorably positioned sites and replanting where conditions of soil and climate are optimal. Clonal selection, planting layouts and density, rootstocks, pruning methods and training systems are chosen with the sole objective of producing grapes of premium quality. 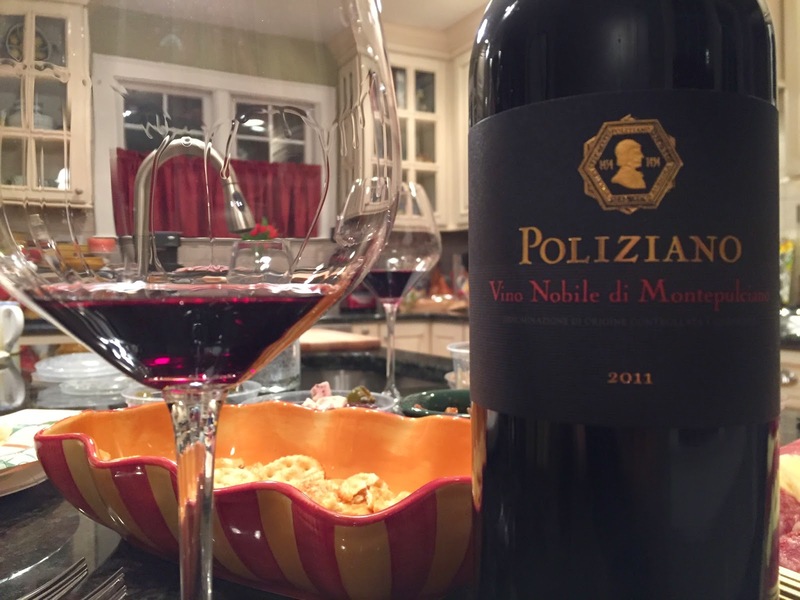 Today we’re covering the recently released 2011 Vino Nobile di Montepulciano. The wine was not decanted but opened 30-40 minutes before dinner. In the glass, the wine is a deep ruby red. This 100% Prugnolo Gentile (Sangiovese) gives off pleasing aromas of dried cherry, herbs and soft earth tones. Not nearly as aromatic as the 2009 mentioned above. On the palate the wine is straightforward and pleasing enough but lacks any sort of real complexity that would make it a truly great example of the type. Somewhat one dimensional, it was a good foil for various antipasti but did not marry well with Pasta con Cavolo e Salsicce. I may give this another try, but can’t advise stocking up on it. 86 points, about $24. John: Is this typical of the vintage? I haven't had a chance to taste a 2011, but all I've had (pre-2011) were wonderful and of good value! I haven't had enough 2011's from across Tuscany yet to really make a general statement. There are many 2011 Chianti Classico's in my upcoming report so that will shed some light. I've had lots of wines for that report, across the 2010-2012 vintage so it's hard to recall right now how the 2011s were. 2011 Rosso di Montalcinos were not as complex as the 2010s or the amazing 2012s. We'll see as we continue to taste. Thanks for commenting as always.